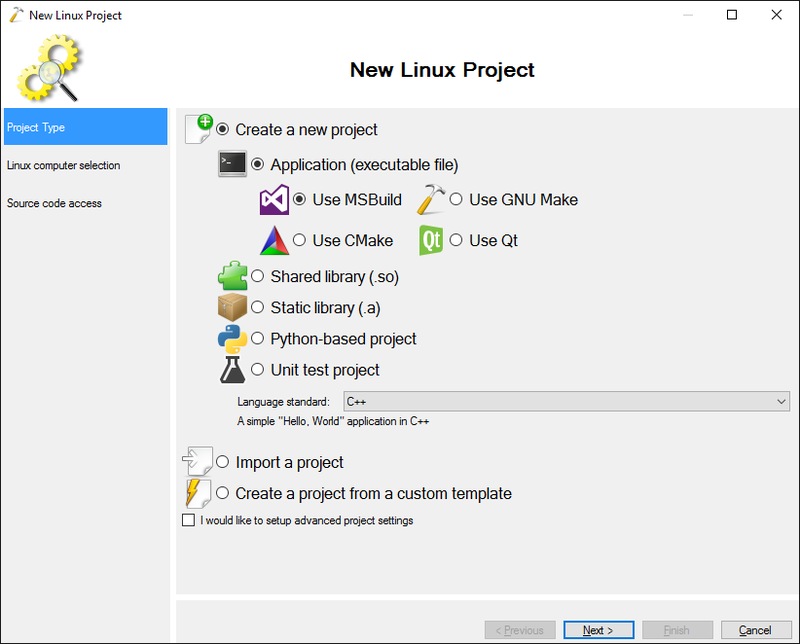 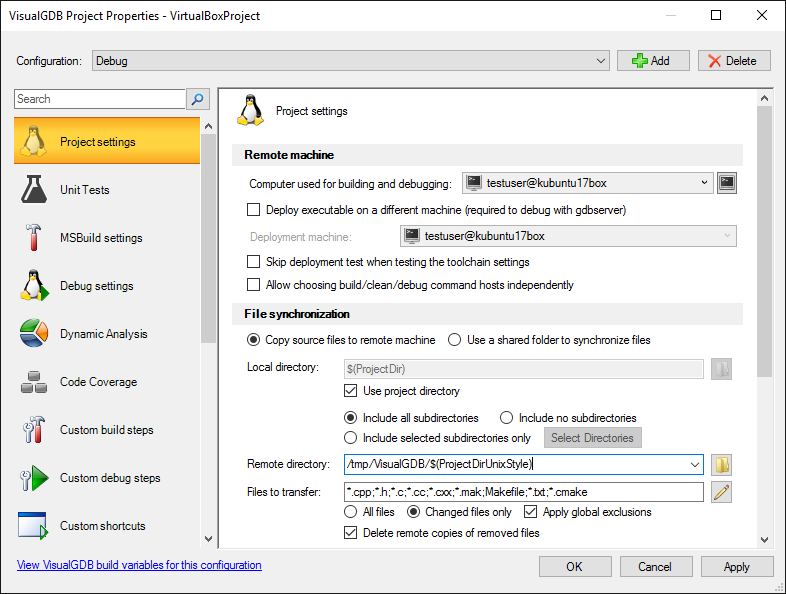 This tutorial shows how to use VisualGDB to develop and debug C/C++ code on Linux virtual machines running on VirtualBox. 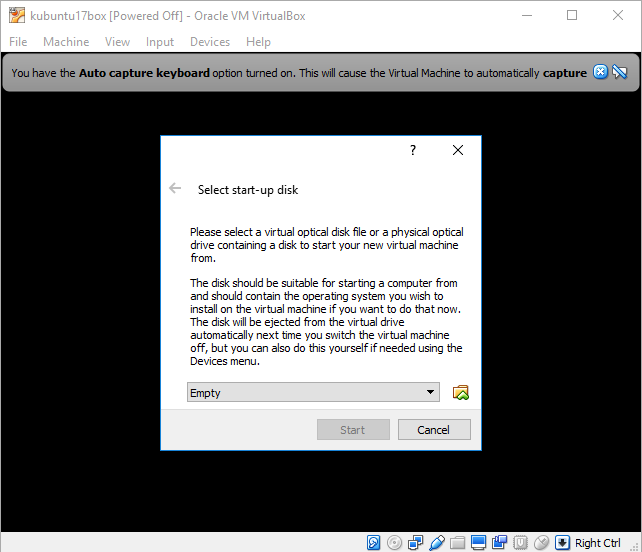 We will show how to create a virtual machine, configure the network settings and setup VisualGDB to access it. 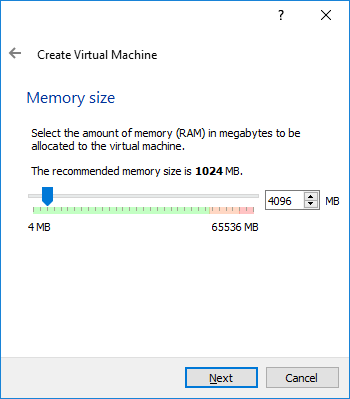 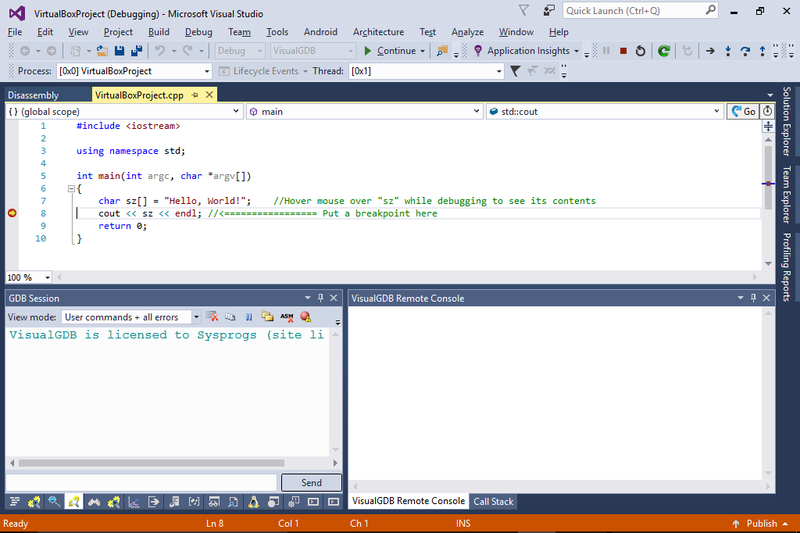 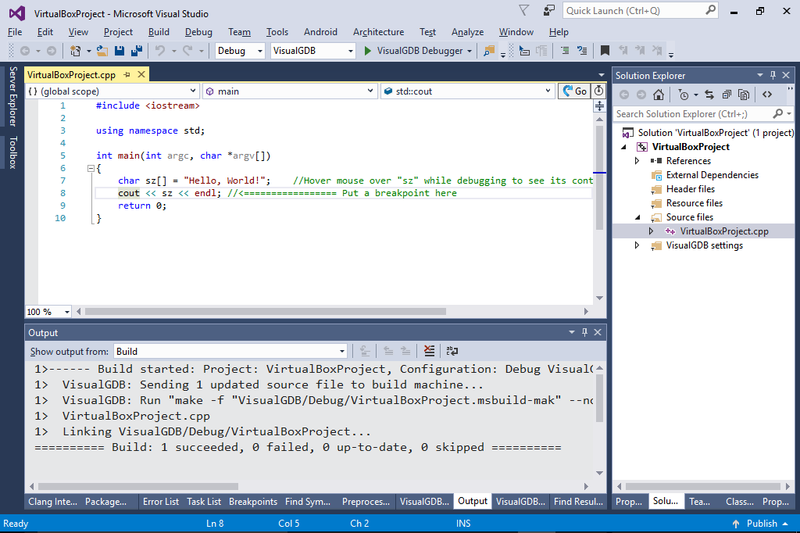 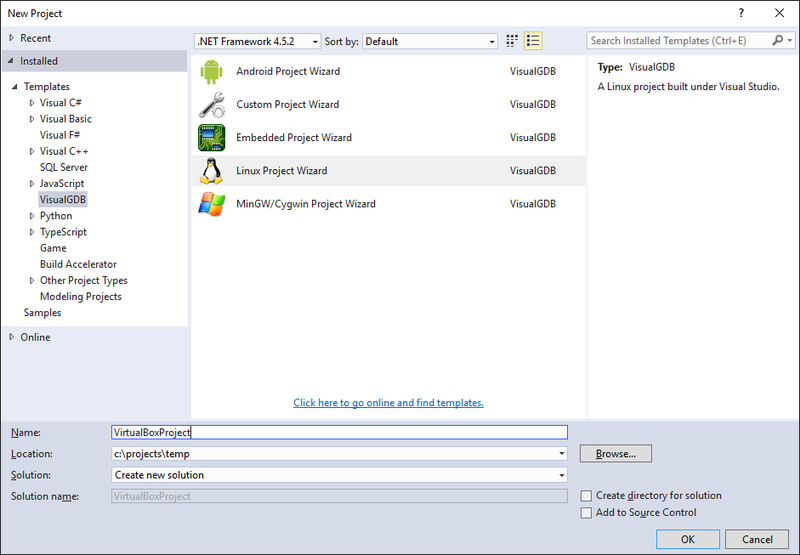 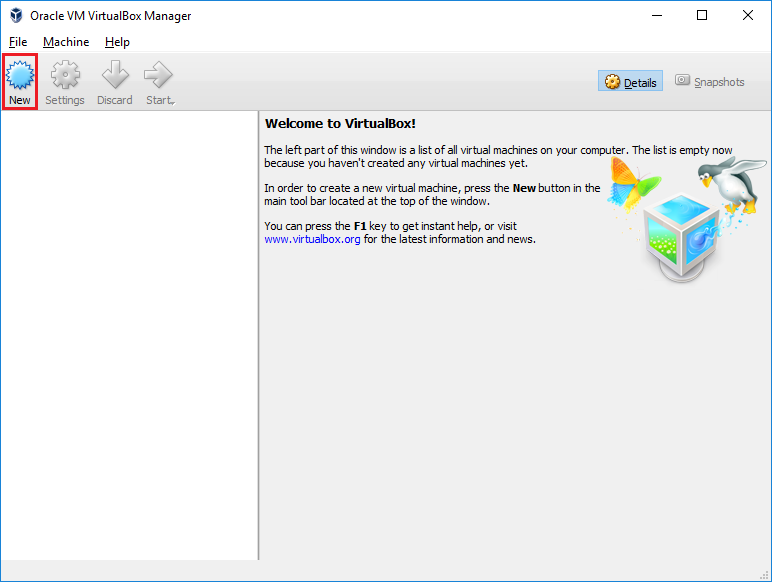 Before you begin, download and install VirtualBox, Visual Studio and VisualGDB. 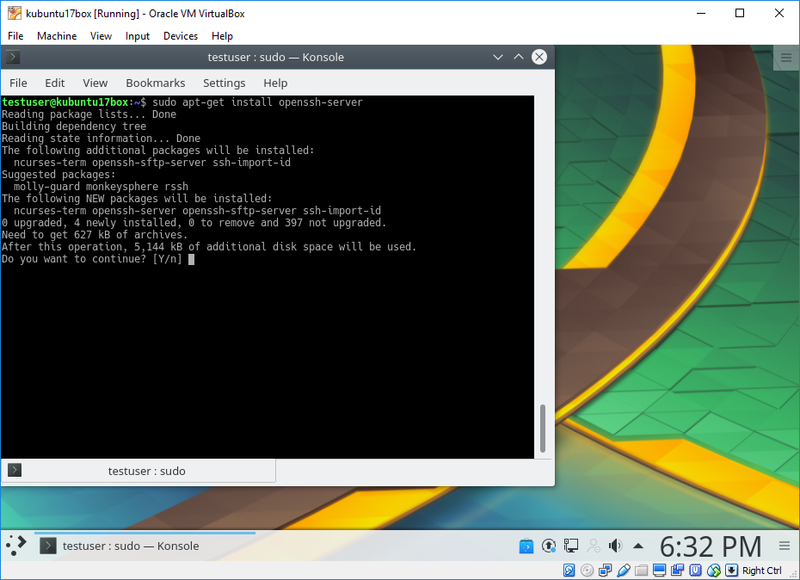 Also choose a Linux distro you want to install on the VirtualBox and download an ISO image of the install DVD. 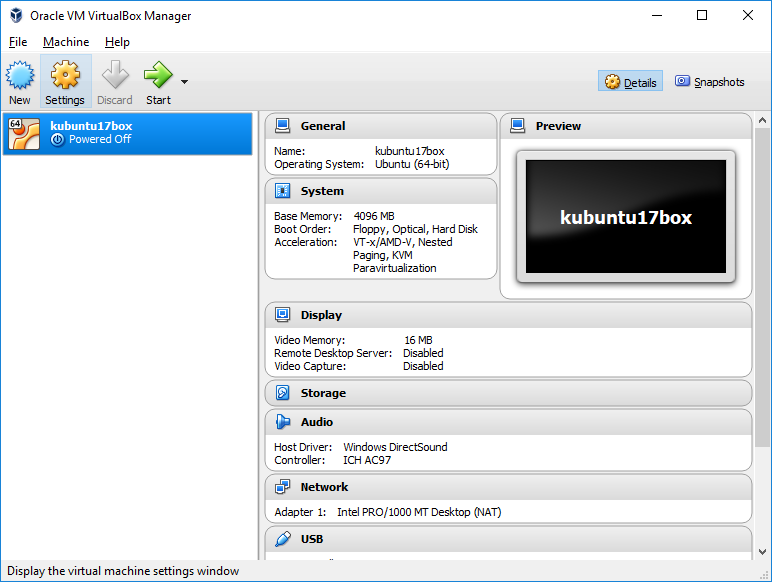 If you are unfamiliar with Linux distros, we recommend using a 64-bit Kubuntu. 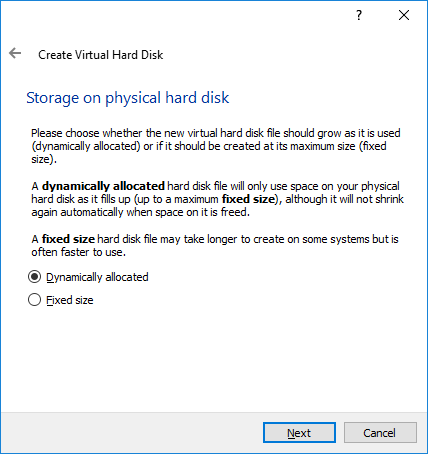 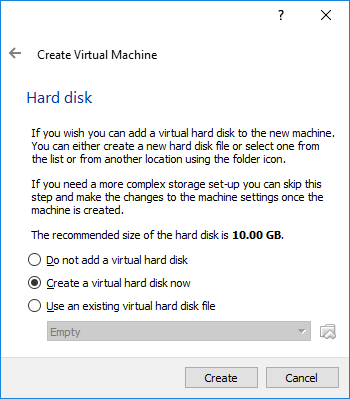 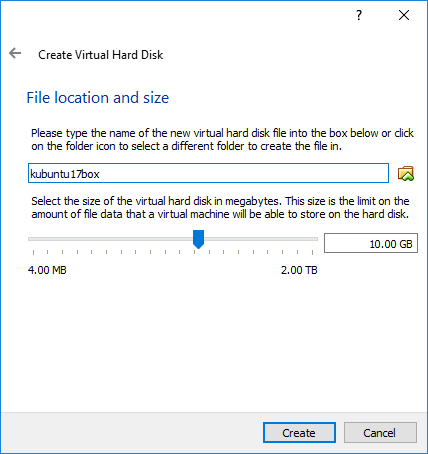 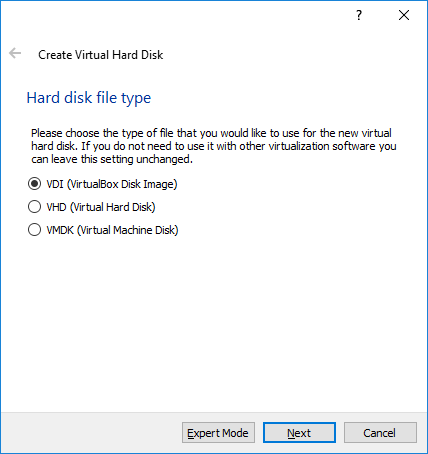 VirtualBox will ask for the start-up disk that will install Linux on your virtual machine. Select the ISO image with the Linux installer you have previously downloaded and click “Start”: The virtual machine will boot from the installer ISO. 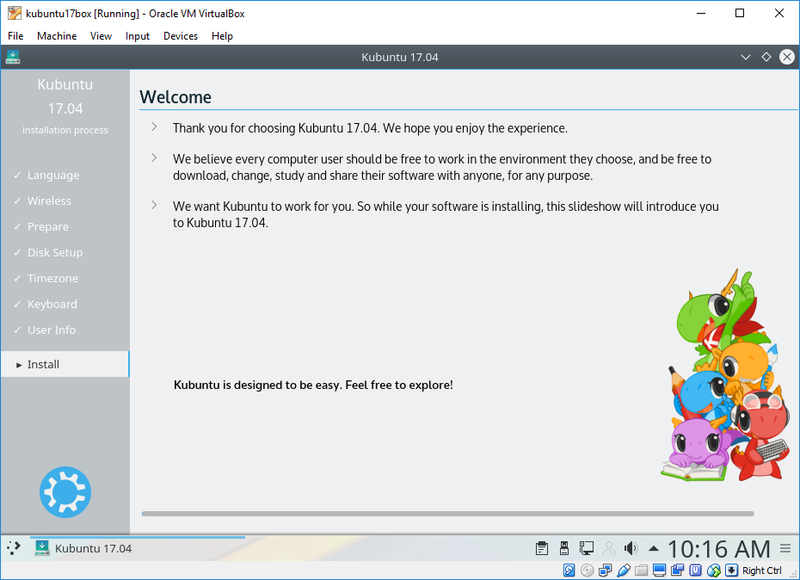 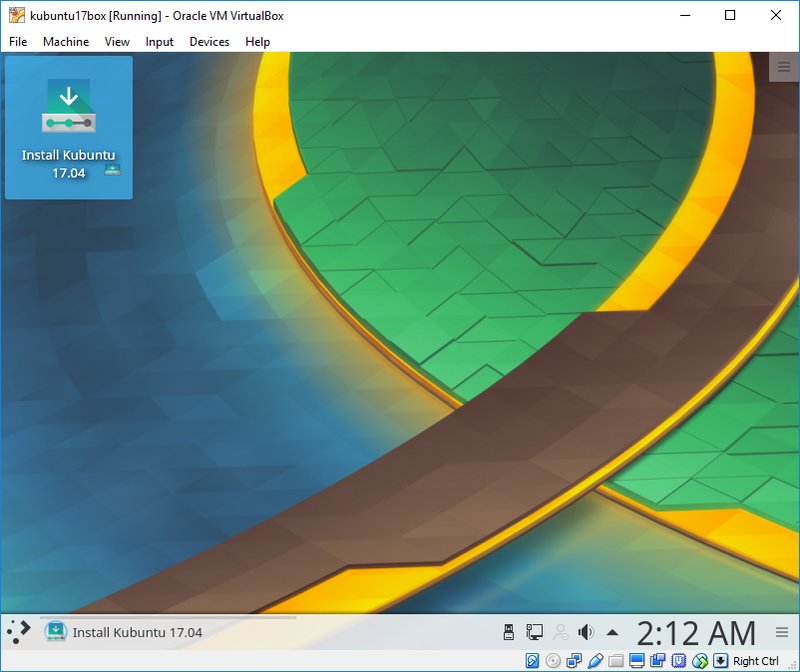 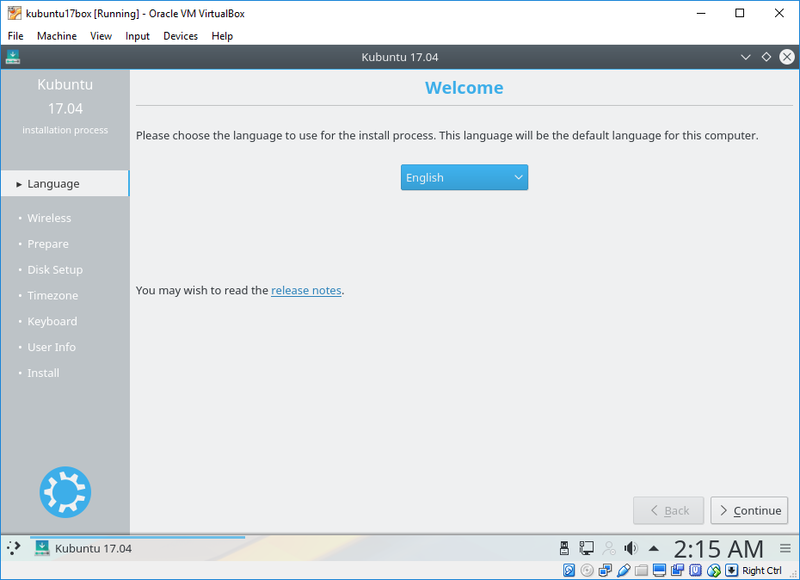 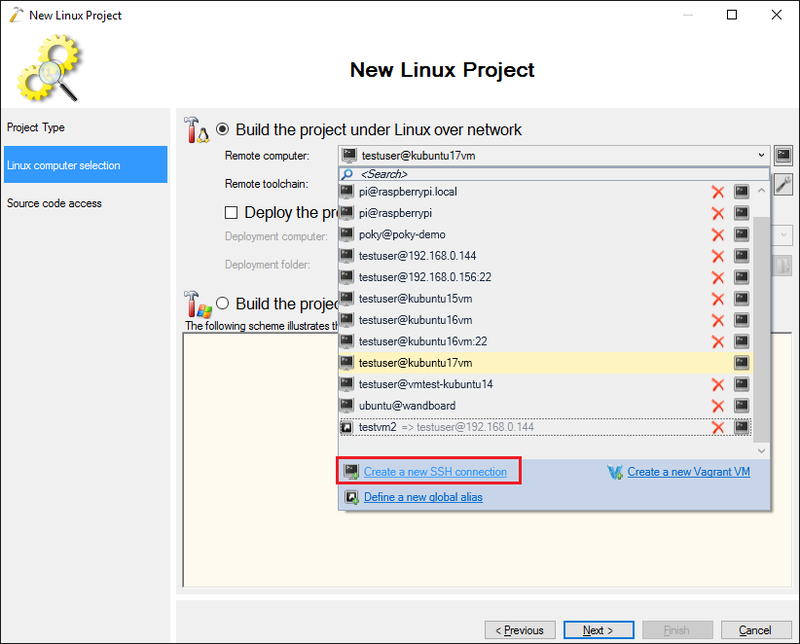 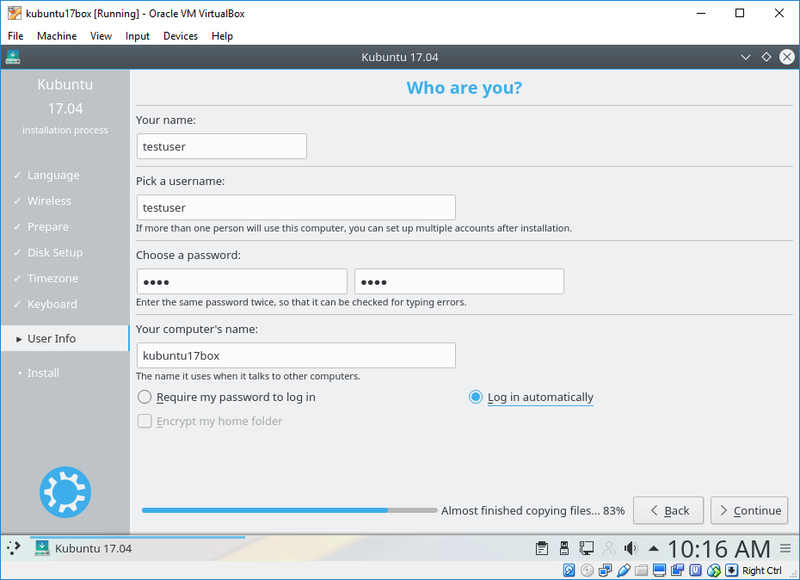 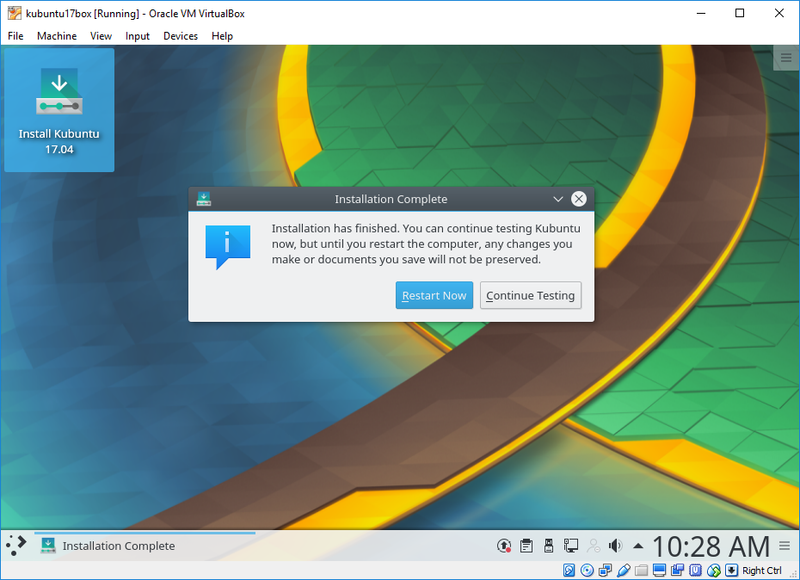 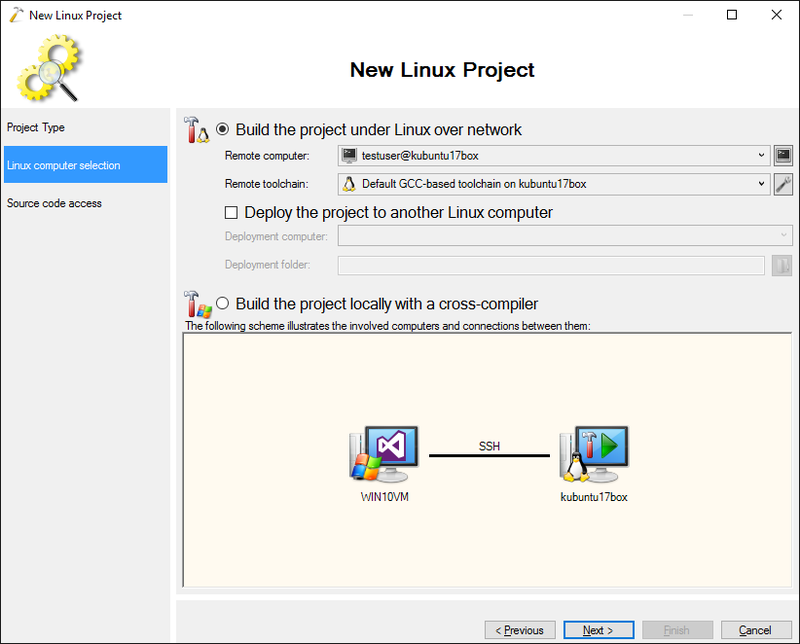 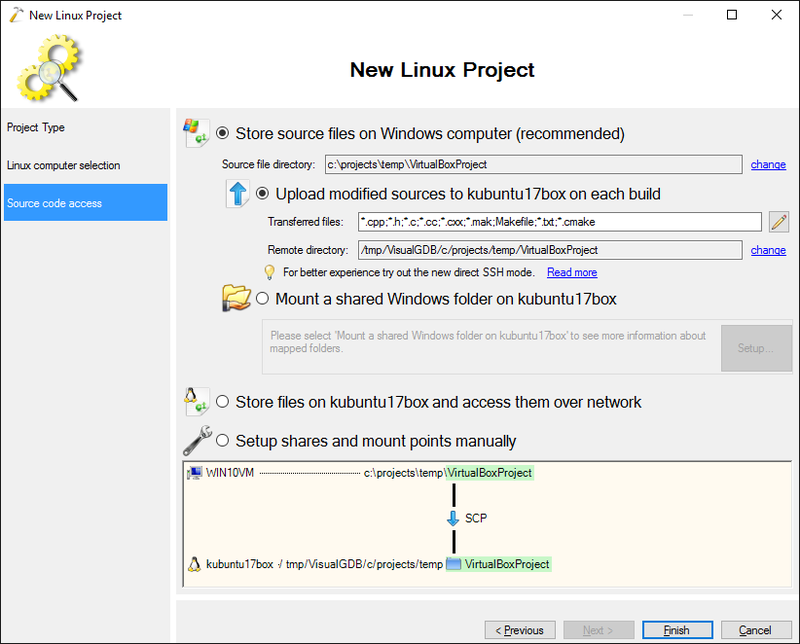 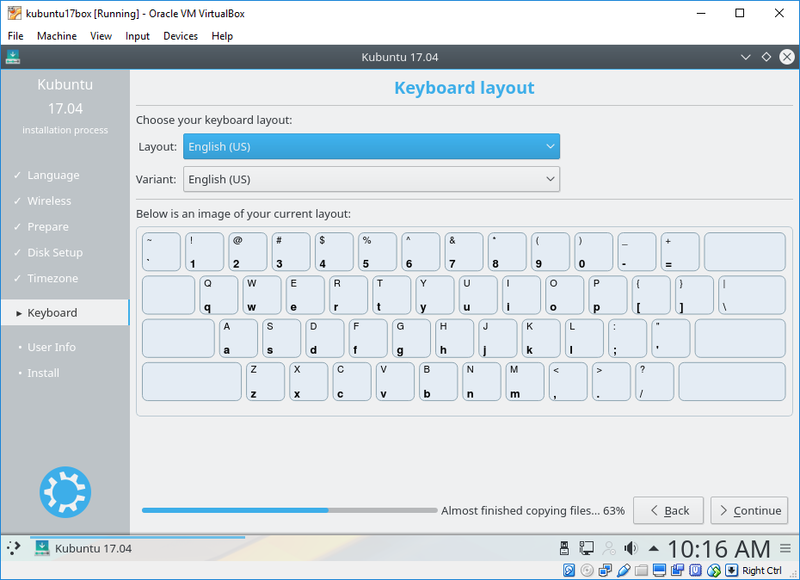 The next steps of this tutorial will be specific to Kubuntu and might slightly vary if you are using a different Linux distro. 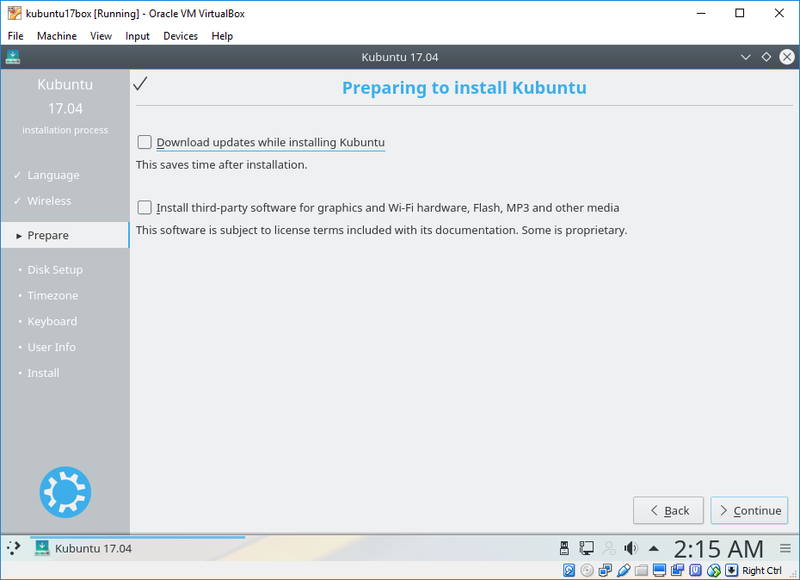 Once Kubuntu is installed, click “Restart now”: The VM will now restart and boot into the newly created Linux installation. 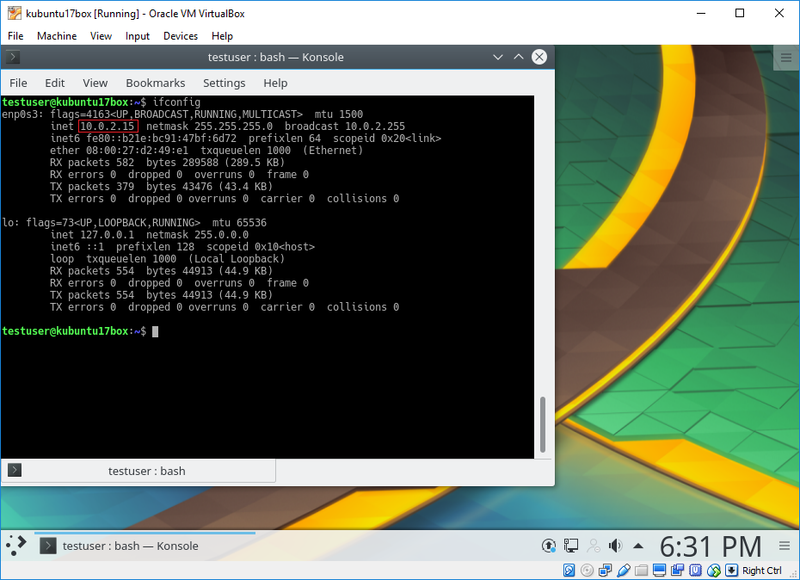 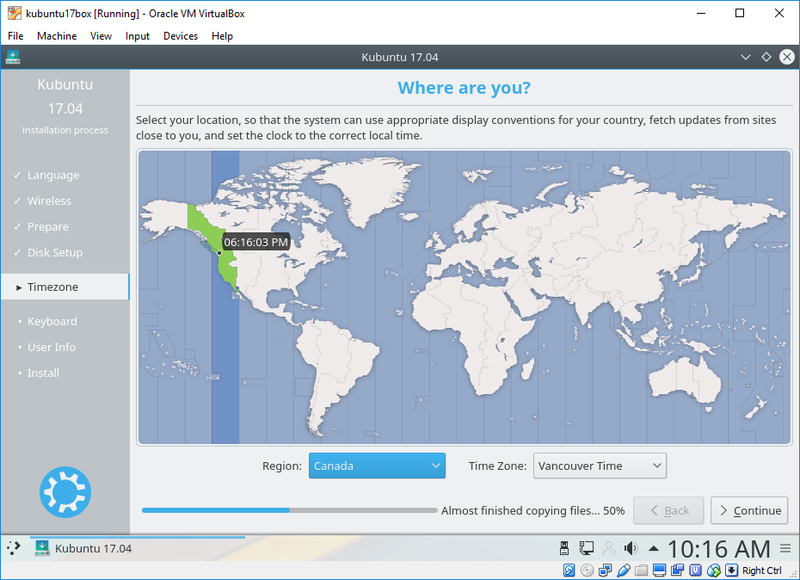 Now we will show how to configure the network settings so that you can access your virtual machine remotely. 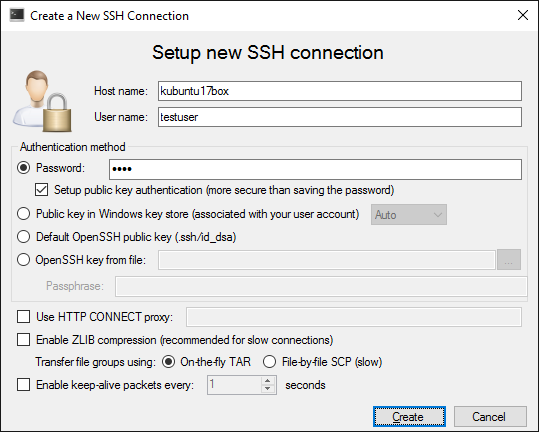 Ensure your network has a functioning DHCP server and run “sudo dhclient -v” to acquire an IP address for the VM: If you don’t have a DHCP server, you would need to configure the IP address manually and ensure it doesn’t conflict with any other machines on your network. 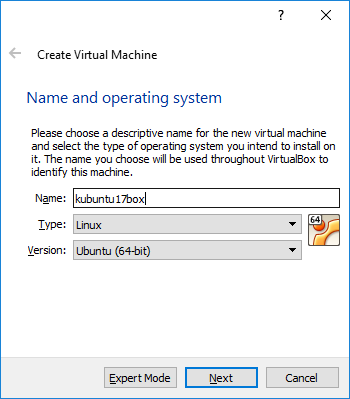 Try pinging the VM from the Windows machine using the name specified during Linux installation (not the name entered when creating the VM in VirtualBox): If it doesn’t work, try using the IP address shown by dhclient instead. 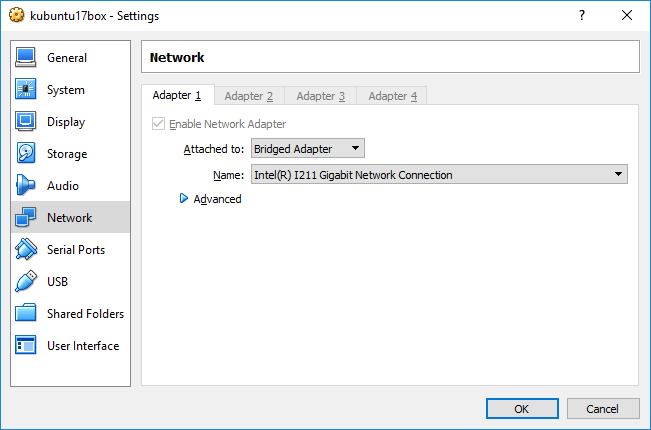 If this doesn’t work either, double-check that the VM is attached to the correct network adapter.